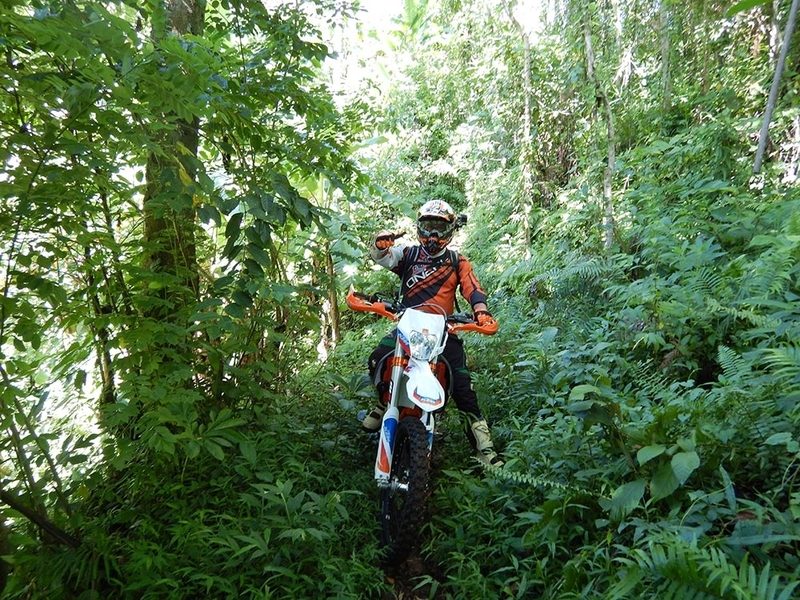 We have 3 different Dirt Bike Tours – suitable for all levels of experience. 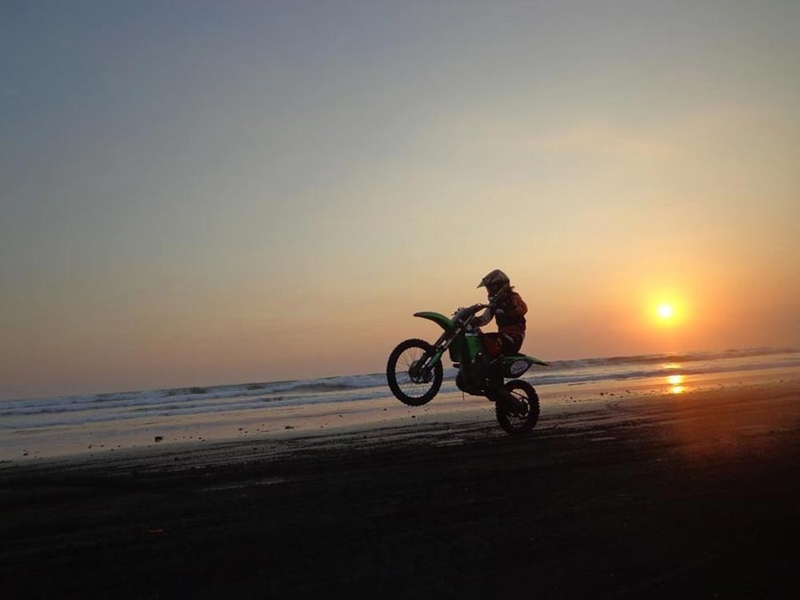 Located at our world famous ATV (Quad Bikes) on the beach, We ride along countless miles of remote black sand beaches, then up through scenic rice fields, jungle tracks and down through traditional local villages then back onto the beach for a final run. You can do this dirt bike tour as a group/solo or join you friends and family who are doing the ATVs and see if they can keep up.. For more info on what you will experience on this tour see our ATVs on the Beach page. 2. 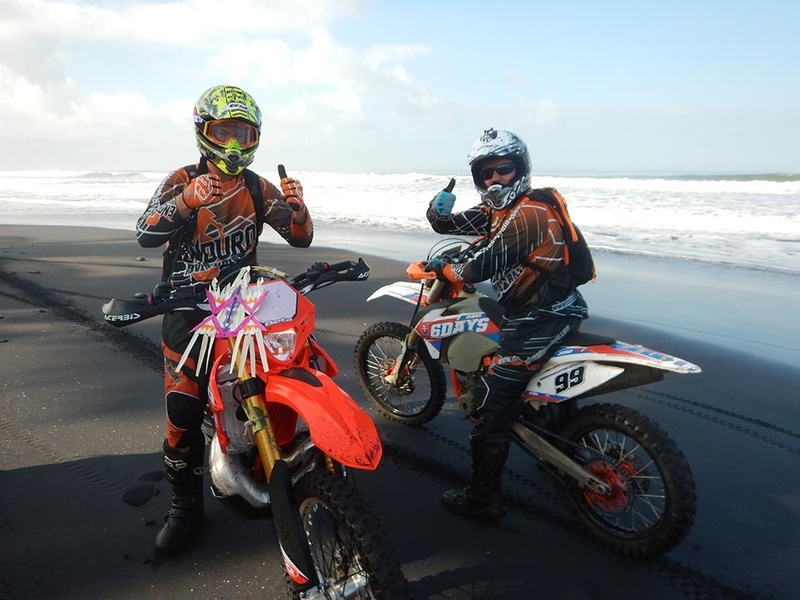 DIRT BIKES ON THE BEACH & LOCAL TRACKS – Designed for a fun day out it’s a more challenging dirt bike tour for confident riders. 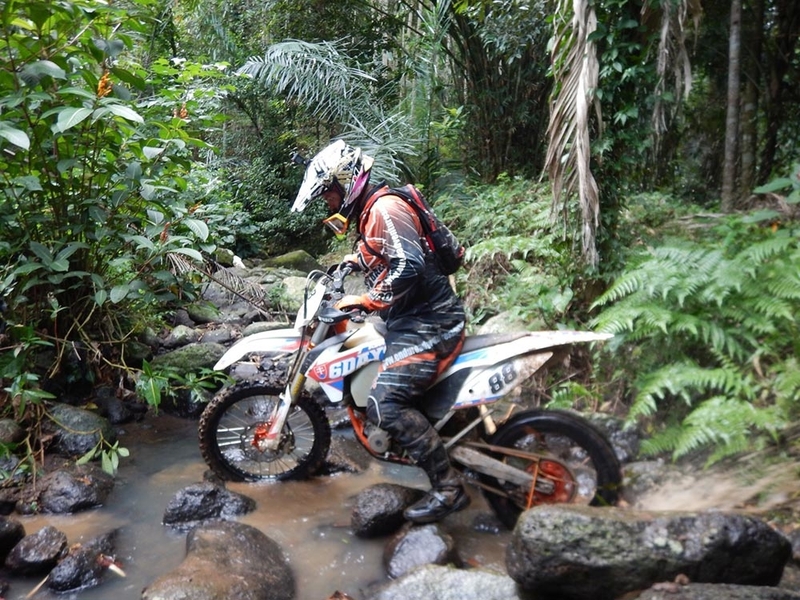 Similar to the above Dirt Bikes on the Beach, only with this tour we use the local dirt bike club as guides to take you on a more challenging beach track and some hidden local jungle tracks. The guides will allow you to challenge yourself to the level you feel comfortable. Located at our world famous ATV (Quad Bikes) on the beach, We ride along countless miles of remote black sand beaches, then up through scenic rice fields, jungle tracks and down through traditional local villages then back onto the beach for a final run. You can do this dirt bike tour as a group/solo or join you friends and family who are doing the ATVs however on this tour you will only see the quad’s at the start and finish.. For more info on what you will experience on this tour see our ATVs on the Beach page. Combine with some of our other tours and save $$$, group discounts available for groups larger than 6. Price includes – Return Air Conditioned Transport, Various bike size and model options, Onsite insurance, All safety equipment & training, Photographer options, Light refreshments & Restaurant meal and drink at tours end. Pick up times: Pick up area’s are Nusa Dua – Sanur – Kuta – Legian – Seminyak – Ubud – Canggu – outside area’s may incur small surcharge. 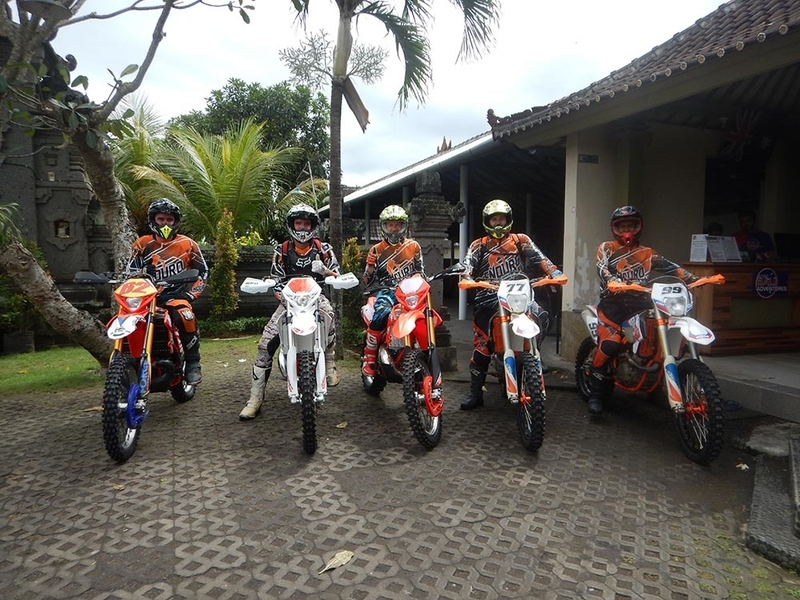 This tour has been designed with the help Bali’s most experienced dirt bike riders, it is not for the faint hearted but if you decide to take on this tour you will remember it forever. 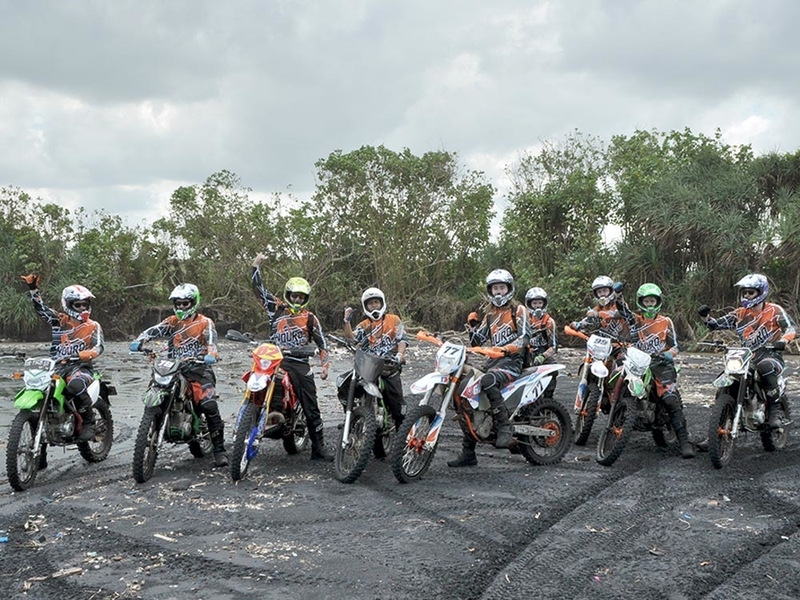 Our local guides are going to take on tracks and through area’s that that are only known by a few of Bali’s best dirt bike riders. The tour takes place in Bali’s Northern Bangli regency, known as the volcanic mountain and lakes district. The exact location of the tracks and tour are top secret. We can only tell you it is located 1.5 hours drive north of Kuta. You will be picked up and dropped off in our A/C Mini vans by our local guide / driver and he will stay with you throughout the tour. It’s a full day tour meaning you will leave hotel at 7am & return approx 7pm. 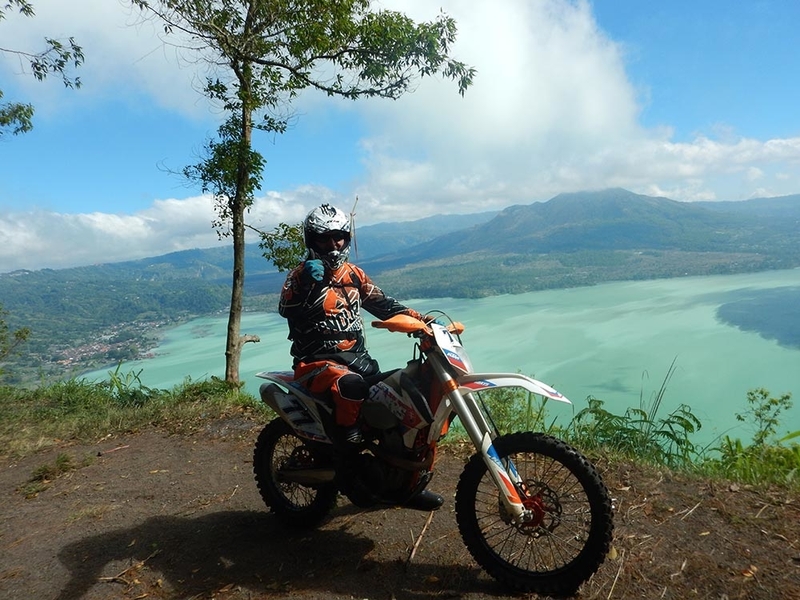 This dirt bike tour is essentially a mountain climb to reach the top of Bali’s 2nd largest volcano, upon reaching the summit you will have access to the tracks and jumps the locals have created at the top of the volcano crater, at the summit you will have 360 degree views of Bali on a clear day you can see all the way to the ocean, Nusa Penida, Mt Agung and across to Lombok, before you reach the summit and enjoy all those goodies you will have to make it up the jungle tracks through rain forest and national parks, cross a local suspension bridge, through a mountain side village’s and past their local kids who will run out to greet you. We stop half way up the mountain for lunch and a rest at a local restaurant overlooking the mystic lake and with views of the volcano you are about to conquer. 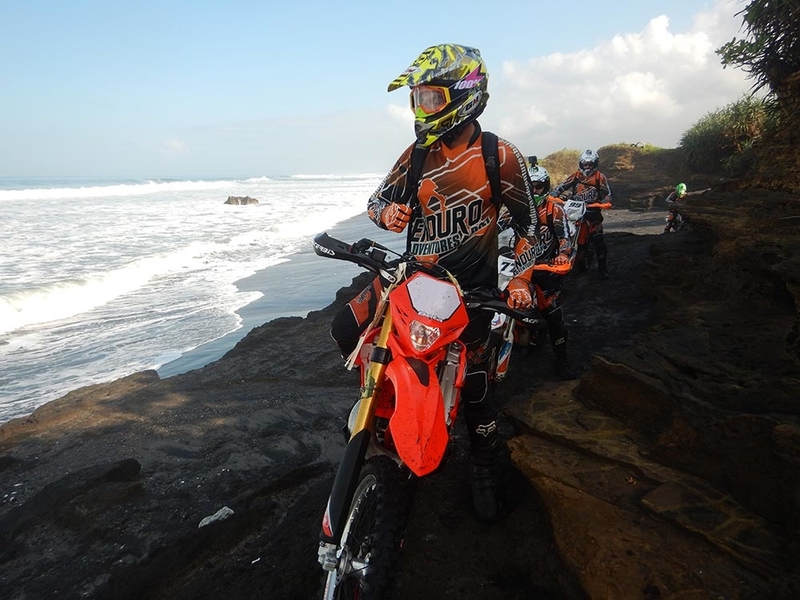 ‘the most extreme dirt bike tour in Bali’ – Bimbim Kadet, Bali Elite Dirt Bike Club. ‘the best thing i’ve ever done in Bali or anywhere in the world’ – Jason Boddington, Victoria Australia. 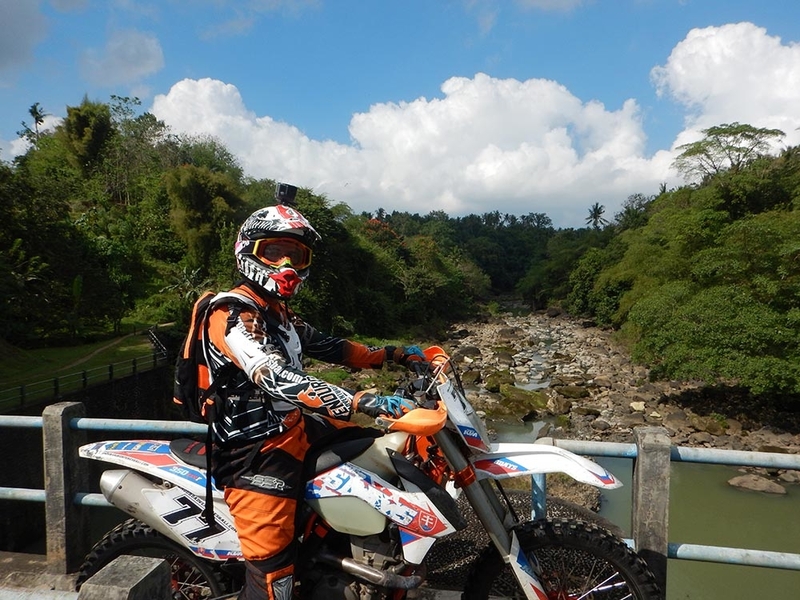 If this isn’t the best full day dirt bike tour you have ever done, we would like to know where your better one is so we can try it too..
Staring from $300 USD per person – Price based on bike size & model – request your preferred bikes size when making your booking and we will send you bike price. Minimum 2 persons required for Extreme tour. Price includes – Return Air Conditioned Transport, various bike size and model options, All safety equipment & training, Photographer options, Snacks, Water, Soft drinks and lunch at a local restaurant overlooking the lake, volcano and mountains. Pick up time: Pick up area’s are Nusa Dua – Sanur – Kuta – Legian – Seminyak – Ubud – Canggu – outside area’s may incur small surcharge. Note: This tour is at the guest own risk, this tour is not covered by Aussie Bali Adventures Insurance policies. 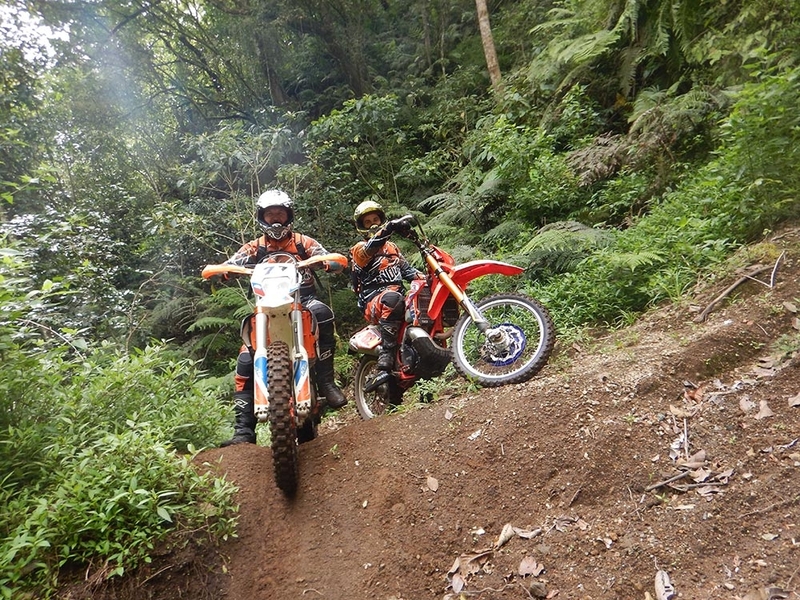 We also have custom designed overnight 2 and 3 day dirt bike tours / expeditions, we can custom build these tours or tailor make these tours to your request’s. Prices available upon request.